Watch this great video, if you are a monster movie fan! Thanks to everyone writing to me about curing the blues, beating the slump, or whatever you want to call it. Again it happens all too often anymore....but I am duking it out with the muse. So sometimes you just have to go back to the beginning and start from scratch. 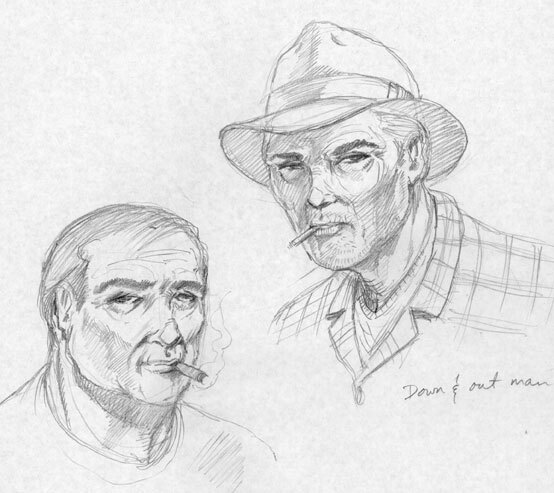 So I thought I would work on some concept sketches. All characters start with the concept. So here are a few I have going at the moment. 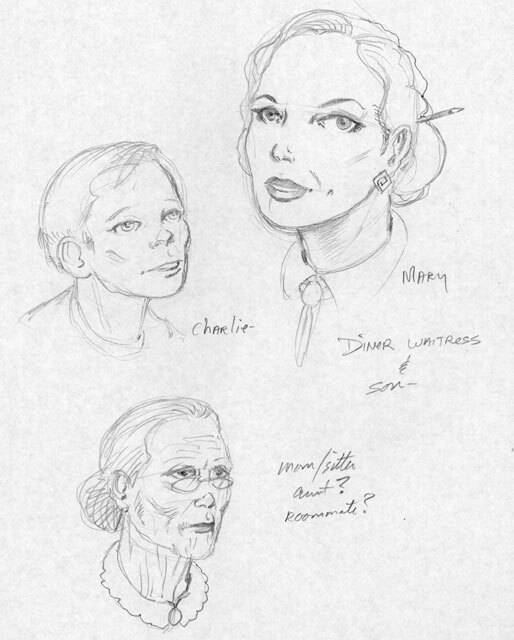 As it stands right now most of these characters will be in Issue one. Not all will make the cut as I tend to rewrite a few hundred times it seems. Just thought I would keep all you very loyal Legionnaires up to date, in the battle with the blues. 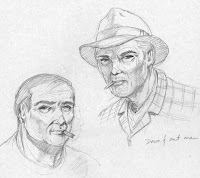 Also think I finally am happy with the 'Jack' character. She has been kind of nebulous to me for awhile. But now she is pretty much set in stone. 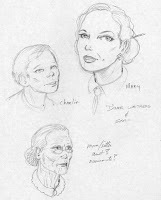 The pic of her is from a full sheet of face studies. Since one of the problems with creating characters, especially in a strip where not everyone has a costume on all the time, is trying to make them look the same from all angles and each time you redraw them. But I am happy with her appearance now. I will keep all informed on the on going battle. And once again thanks to all who write and post on the site.....I do appreciate it. It keeps me going. Thanks. We all get them, whether you call them the Blues, a Slump, Creative Void, The give a shits, whatever you want to call them we all get them. Well I guess the reason I have been a bit lazy in my posting is I have dealing with a case of it all right now. I know this may seem like a broken record to regular readers, but it happens more often than people like to admit. 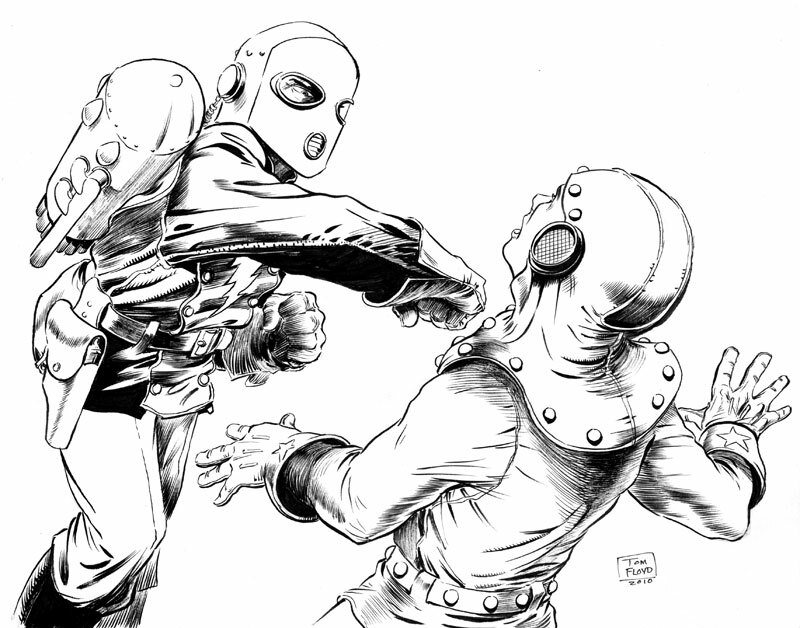 The piece above I had had pencilled awhile back, just never got around to inking it. Well it seems I can even ink fairly well when in a depression or slump. Since it is more of a mechanical process for me. I guess what I need to do is have a backlog of pencilled pieces around for these times. Which by the way, I have even noticed are coming more often, or time is flying by faster in my later years. I think it is some of both of those reasons. Also so many other factors are in play right now too, the same old stuff really, the day job, the shorter daylight hours (ever since I totaled my truck hitting that deer last november, I have been a bit gun-shy about driving at night. ), my arthritis, a few personal things, and as always that no money in the bank thing. Nothing out of the ordinary as most people have problems and deal with them. Just sometimes it all piles up and seems to heap onto you all at once. Again not whining or making excuses, just letting you all know what is happening. It will pass. Just takes a big jolt. An idea would help to get my mind excited again about anything. Oh, sure I want to get beyond the half way mark of the KiGor story, finish the second half of the Captain Spectre script, and do a hundred other things laying around. I just have to find the fire again. 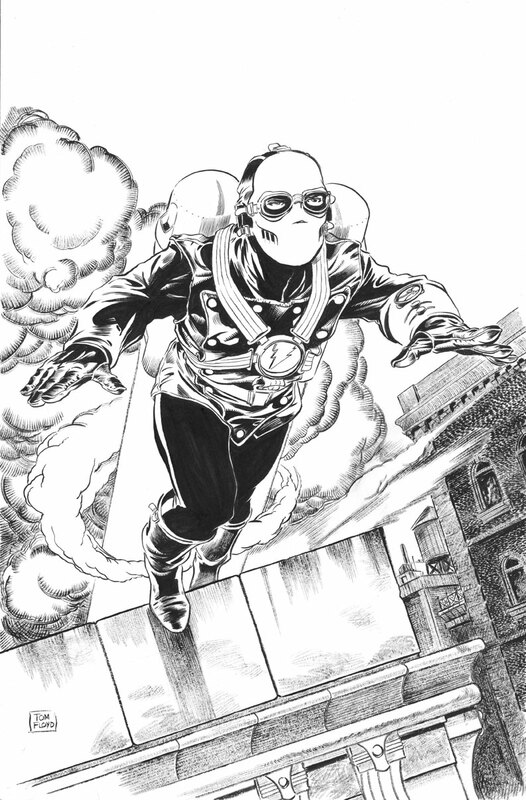 On the other hand, I think that piece above of Cap rocketing off the rooftop will probably be the cover drawing to the first issue of Captain Spectre. So I guess some work gets done even in the throws of the slump. Hang with me, it will be over soon....I promise. Again, just a typical weekend. I am chipping away at all projects on all fronts it seems. 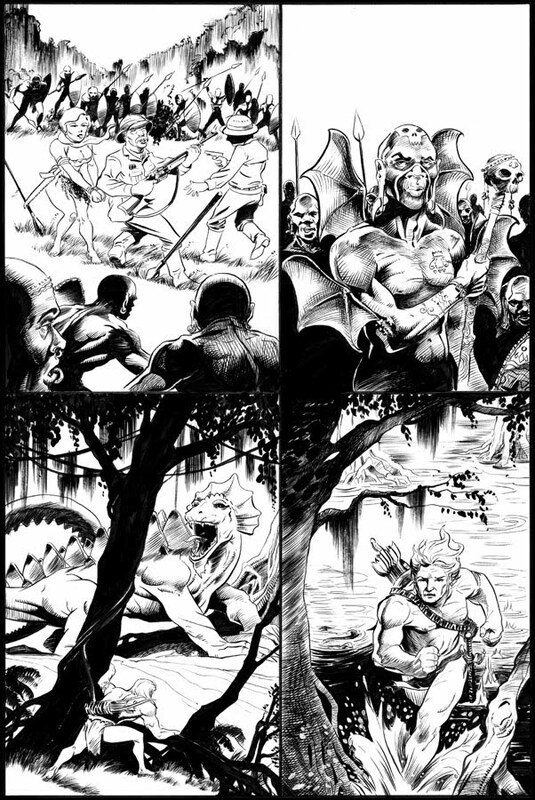 Here is page 5 of the KiGor story. Man, this one took awhile. It was a real challenge for sure. I especially had fun designing and inking the 'batman' shaman. I had been watching a lot of jungle adventure movies lately, or should I say as always, since I like jungle stories. And thought about the scarification stuff alot. So why wouldn't a shaman or witchdoctor use it like this, to add things to his body to make him seem more like a totem animal or something. Just a thought. Anyway it also gives the audience a view of what is to come in KiGors Africa. The 'dino' again is like the great old movie dinos of the 50's and 60's which were just big lizards with plates and stuff glued onto them. I loved those faux-dinos alot. I also got interviewed by the All Pulp site. So here is a link to that if you care to read any of my rantings and ravings on the questions they posed for me. So click to read. Also if you need a print of the Captain Spectre Serial Lobby card from the previous post just click to download it and print it out. It is 11 x 17 so you can print it full size if you like, or if you can't just tell your printer to size it down some. If you need me to size it down, just ask and I can do that and post it at a later time. Just say the word Legionnaires. Well, not gonna let you see the whole KiGor page yet, as it isn't quite done. But just thought I would show this page....after all I do want people to buy the book it is going to be in. ha. Anyway just wanted to mention once again....all brush work on this story so far. And this panel is only four and half inches by seven and a half. I am not much good at drawing small anymore....hence the photoshop comps I have shown here. But I still need to ink the figures no matter how small they come out in the comps. It was a tough one with my slowly failing eyesight...ha. Also like a dog with a bone. 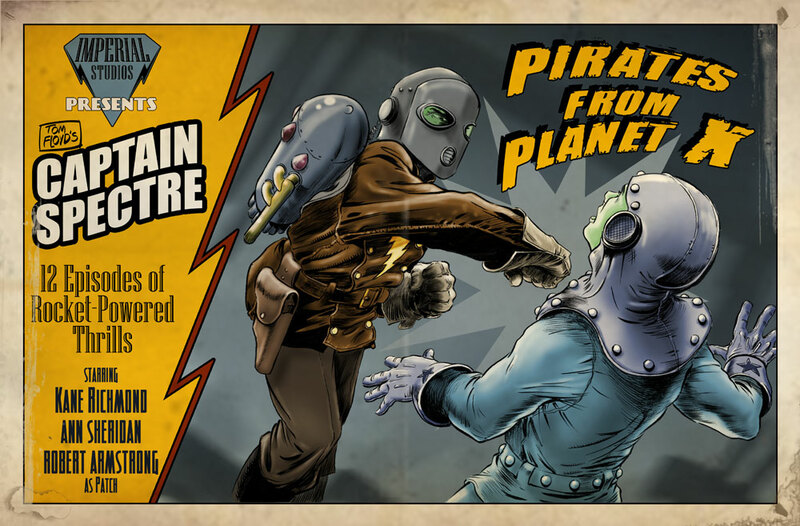 I couldn't resist putting in a couple of hours finishing off the Captain Spectre serial Lobby card. Some things just have to be done, as all creative people understand. I kept thinking about this piece and that was bothering me. So to free up my mind I just had to finish up a version of it. Not by all means a final, but I kind of liked it, so will keep this as a version anyway. Also I included some names for the stars. Thought about the casting of the characters and came up with this selection. Let me know what you think. I hope everyone had a good weekend. I think my was good. Of course always too short, but I did get some much needed work done on KiGor. 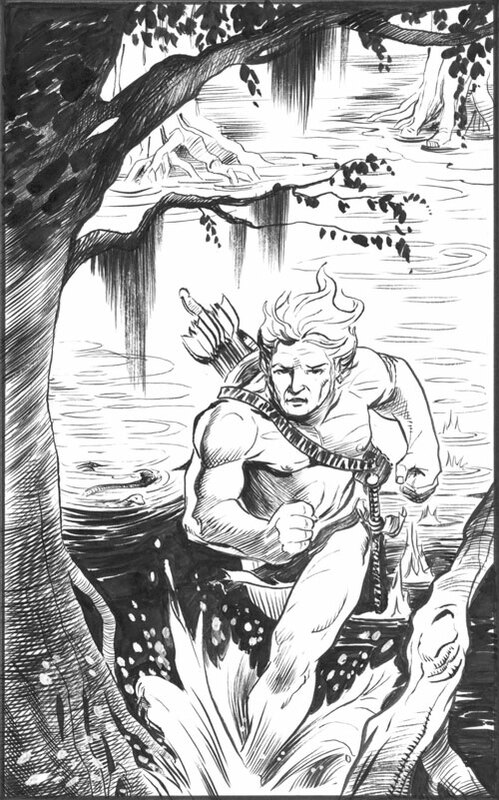 And the serial card is going to be used in issue one, so actually that was work on the first issue, a bit. I will try in the next week or so to post the serial card as a .pdf on the site so people can download and print one if they like. OK.
Well back to the old salt mines tomorrow.....or maybe it should be the radium mines as in Flash Gordon......I like that better. Well, as most of you Loyal Legionnaires, and Jungle Pals know....I always have several things going at one time....probably one of my more self-annoying habits. I seem to always have big plans and projects eating away at the back of my brain. 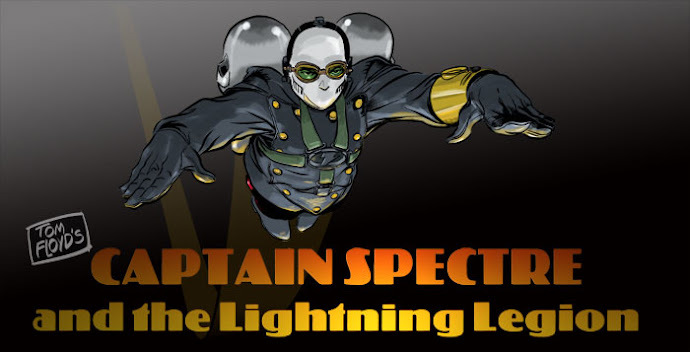 Some of those projects have included collecting sound effects for a internet radio show of Captain Spectre to post on the site, another is what would the Captain Spectre serial look like, and yet another would be a Fleisher like studio cartoon adventure series of Captain Spectre. Some nights when I get home after a long day at the job there just isn't enough time to get my mind focused on writing or doing something really detailed and small - like panels on a comic page.....so I always have something big and mindless to work on so I can say I did something. Anything to move things forward. Friday night was one of those nights. Good Hammer vampire movies on TCM, and the dog was acting up after being alone all day, also some domestic chores to check up on.....so I inked a few lines between all that and finished this drawing that has been around for months. Captain Spectre ala Republic pictures serial. Ha, it could be a fun serial for sure.....so enjoy all you Legionnaires and enjoy your weekend. I plan to get some work done. Since the yard doesn't need a weekly mowing because of the cooling temps. 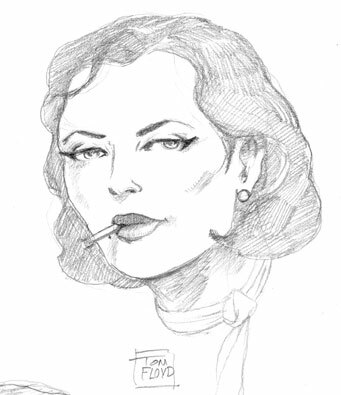 Now I need to make a lobby card out of this image.....see more stuff to do. sigh.